Drill Hall | Launceston Then! 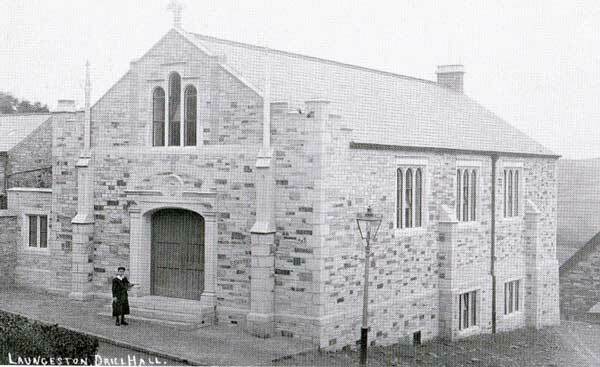 Launceston Drill Hall shortly after its opening. 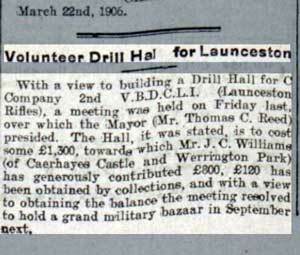 The first mention to build a home for ‘C’ company (Launceston) and 2 Voluntary Battalion of the Duke of Cornwall’s Light Infantry first occurred in 1900 with land that the town council owned behind the Guildhall. 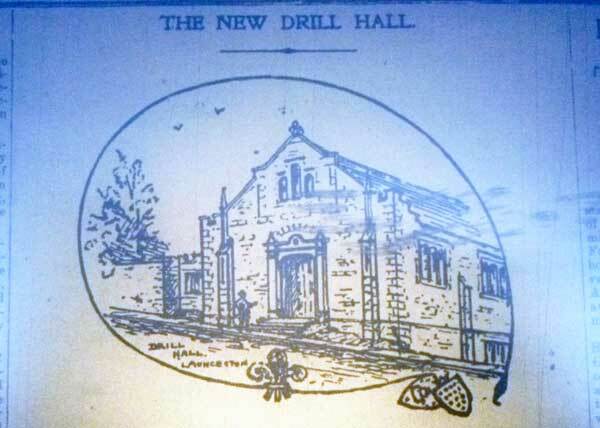 In 1906 it was stated that the proposed Drill Hall would cost a total of £1,300 to construct. Three dilapidated terraced cottages known as Noah’s Ark tenements just behind the Town Hall were purchased from the town council for £250. Mr. J. C. Williams of Werrington stepped in with an interest free loan of £800 and by March 1906 £120 had been obtained by collections. 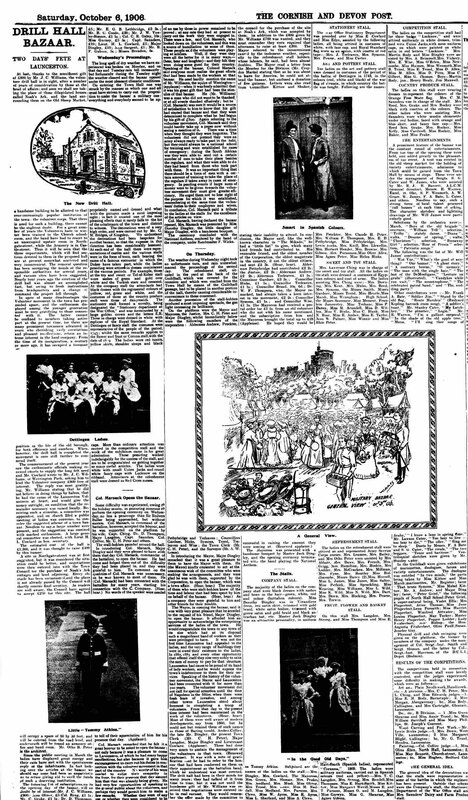 The balance was raised from a grand military bazaar held in September 1906. Otho Peter designed a post card (below left) of the intended building to help raise funds. It was only then that the construction was begun. The three cottages were demolished and work soon progressed with the building. It was officially opened in October 1907. Shortly afterwards ‘C’ company and the 2 Voluntary Battalion became known simply as the Territorial Army. With re-organisation of the DCLI the building became vacant and over the years its seen many uses from being the Launceston Drill Badminton Club to being used for the Crown Home Centre DIY shop. It is now known as the Westgate Centre.